We partner with artisan vendors that offer fabric by the yard, allowing a gorgeous mix of tactile natural fabrics and exquisite handcrafted detail. Fabrics are steeped in tradition and artistry. Perfectly suited for the trade. 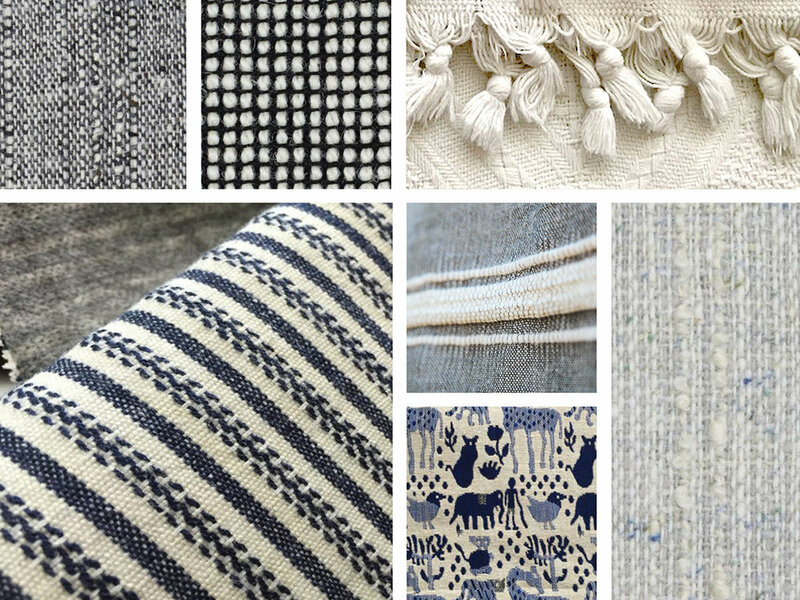 Artisan Fabrics: A key trend for the upcoming spring collections they’re a gorgeous mix of beautifully tactile natural fabrics and exquisite hand-crafted detail. Not only are genuine artisan products sustainable, but they are steeped in tradition and artistry. No machine-produced replica can duplicate this. The renaissance of the handmade product, in both fashion and interiors, lies not only in aesthetics, but in the uniqueness, limited availability, and brand story that goes with craftsmanship. Discerning consumers want to purchase items that are unique, with a cultural connection and a story to tell. Artisanal Luxury: Focusing on authenticity and craftsmanship in every piece, from accessories to interiors. Fabric from Bangladesh costs $16-35 FOB for 2.5 +/- yardage. Typical lead time is 90-120 days. FOB pricing (inquire for details).